Began using a hula hoop for fitness after she saw girls "placidly and beautifully" hooping at a bluegrass music festival. Now she hoops at music festivals! 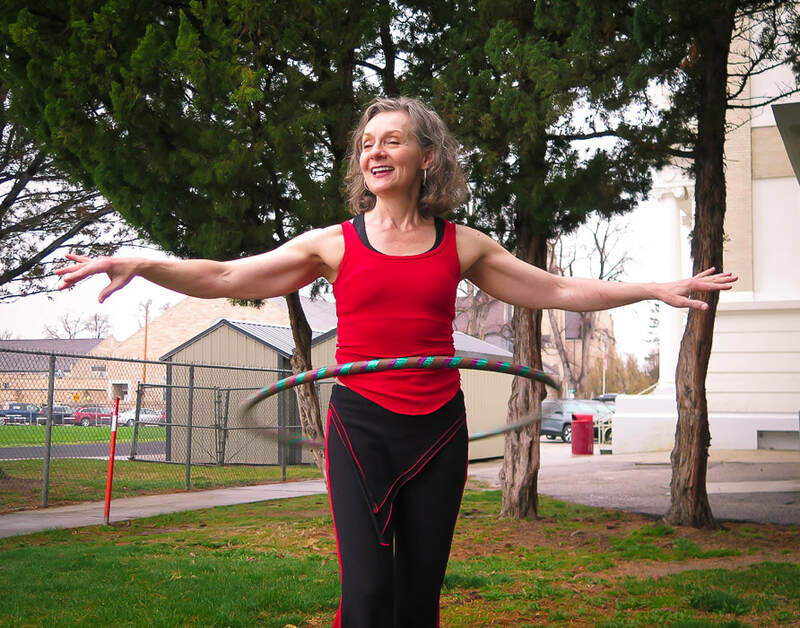 At age 63, Becky calls hooping "my treat and reward." She hoop-dances for meditation and as the part of her varied fitness regimen that she looks forward to - "I do it for love - moving is fabulous." 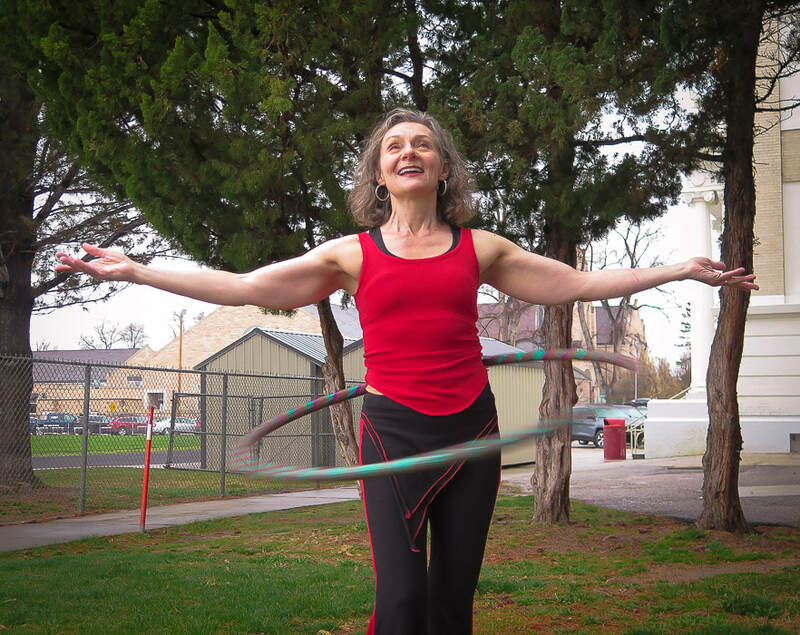 Her hula hoop was key in recovery after two total hip replacement surgeries. Becky weight-trains, mixing up free weights and circuit machines, 2-3 times per week. She walks a lot: uses a pedometer and aims for 12 - 15,000 steps a day. She also uses a 10#-weighted vest and walking poles when she walks outside. She makes her hoops with a 3/4" PVC pipe, 160 psi and uses holographic, electrical, and gaffer tape. Gets her cool hooping pants from Hoopclothes (hoopclothes.com). She recommends the beginner's hooping video from Hoopnotica.com. Becky has appeared on three episodes of Law and Order and she also sings with the Billy Blues Band. "Hooping helps with balance and posture. It is an excellent way to strengthen your core and support your spine. Exercise is as close as I can come to the Fountain of Youth! Energy begets energy; your posture helps you do things and doing things helps your posture." Editor's note: I was so motivated after talking to Becky, I immediately did my personal best stair-stepper session in the gym! Her positive attitude is inspirational.